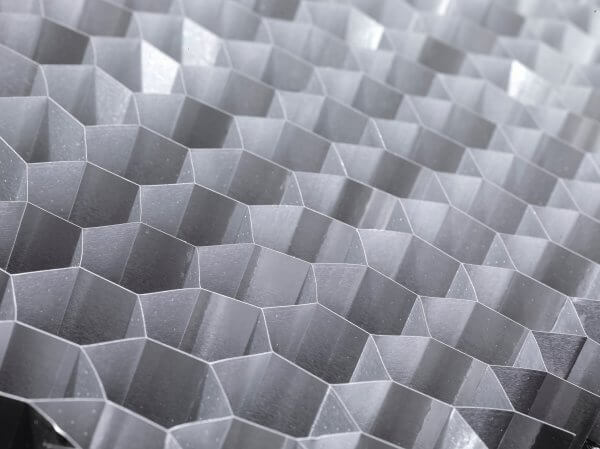 Our 3/8” cell size is the most popular honeycomb type with panel manufacturing customers. 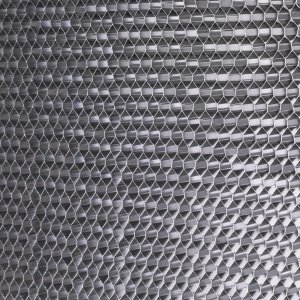 Its medium cell size means it has the better of the two principal characteristics of aluminium honeycomb – high strength coupled with lightweight mass. 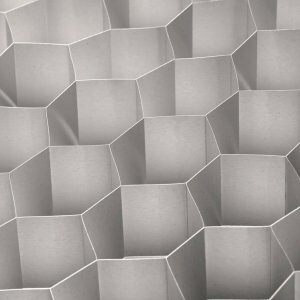 Aluminium honeycomb is designed to sit between two skins to create a sandwich panel. In creating distance between these two skins and preventing them from moving, huge mechanical advantage is gained in the resulting rigidity of the panel but with a minimal increase in weight. 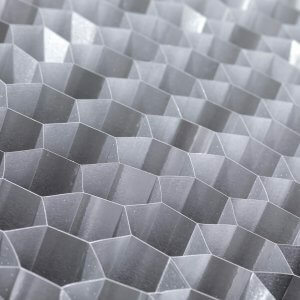 We offer a variety of thicknesses and all slices expand to 1250 x 2500mm. L and W directions may be marginally larger. L and W directions will never be smaller than stated. All our slices have been cut with a thickness tolerance of +/-0.25mm. The slices are available to buy from stock and will expand to nominal dimensions of 1250 x 2500mm.